A port of Player for Android. 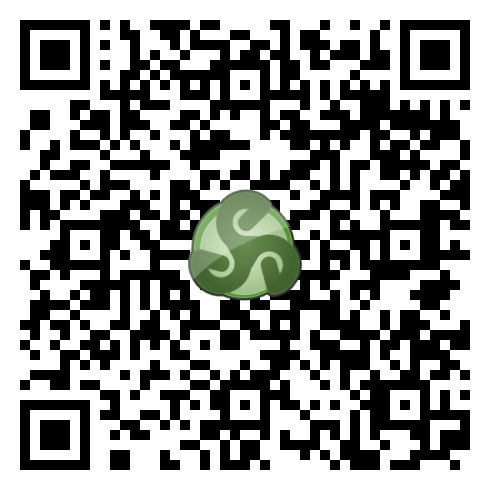 Click here to download the apk or scan the QR code below. You must enable installing of non-appstore apps. This option is somewhere in the Android settings, depending on the version. under Security -> Unknown sources. Warning: Be careful when installing apks that are not in the app store. We will only provide APK downloads from our domain (easy-rpg.org). If you are unsure about OpenGL and hardware floating point: When it crashes on startup you probably lack these features ;). If you know how to use logcat you can provide us with the output when it crashes. Place the game folders in “[sd-card]/easyrpg/games”. Games depending on a RTP expect it in “[sd-card]/easyrpg/rtp/2000” for RTP 2000 and in “2003” for RTP 2003. Do a long click on a game in the game browser to set the region. “Western Europe” is the default, select “Eastern Europe” for Russian games and “Japan” for Japanese games obviously. The FPS and the virtual buttons can be enabled/disabled by pressing the menu button of your phone. We expected to release version 0.2 of Player this year featuring battle system and savegames. Unfortunately we will miss that deadline and need more months to finish them, sorry. We will also try to get the Player in the Google App Store when 0.2 is ready. A strange bug was fixed: When a common event that displayed a message box was called via [Call Event], and the command after that was [Show Message] the message box wasn’t displayed. This was especially bad when that message box contained choices. It is a great good job!!! I alway use the[RPG Makerseries] to make games. Is a possible the game browser support the “Traditional chinese” in version 0.2? My games are made by traditional chinese RPG Maker. When use this tools in Android phone, all the text are unreadable. And the sound(.wav) file seen did not support. I don’t know if the font we are using supports all chinese characters. Open the RPG_RT.ini of the game with a text editor. Add the following to the file (or replace when it is already there) and try running your game again. The text can be shown but some text cannot be shown. I think some ETEN characters cannot be replaced BIG5. The screen file about missing text. The wave file with chinese filename can be run in the game too. Some character motion cannot move in the auto-run event. Overall this is a wonderful program! I am looking forward the version 0.2. P.S. This game is [Kowloon Magic]. It can be downloaded in my web site. I’m Japanese, and I enjoy to make some games using RPGmaker 2003. However, my project of all was not able to play. It becomes the character that can not be read when I browse to the file. I think this problem is solved by translating in the Shift-JIS when easyRPGplayer read the file named in Japanese. I thank you for reading it through. Is the problem related with file names in storage using UTF-8? Or the game project folder name only? This file is default system of Japanese RTP . Thanks for the reply. Could you attach or paste the generated “easyrpg_log.txt” file stored in the easyrpg android directory to see additional details? I cannot find the file in “sdcard/easyrpg”, and I make it in “sdcard/easyrpg”. But there is no message after I play easyrpg. Could you try again with the latest nightly build for Android? Latests builds add better error support and multiple fixes with Japanese (replaced CP932 with SHIFT_JIS). encoding=932 will use shift_jis internally now. Did you set the encoding to Japanese by doing a “Long Touch/Click” on the game in the list and selecting Japanese? Android filesystem is case sensitive. Does it exist the system4 file in system/ folder of your game or in your system/ folder of your RTP? You have no idea how I appreciate your work! I waited so long for this port to come out, this makes me so happy now! Please do never forget there are people you make happy with keeping up that good work! Hi, I’m not sure what I’m doing wrong but when I copy my game folder into easyrpg/games , it just say NO GAMES FOUND IN easyrpg/games. My game was created using RPG Maker VX Ace. Can help? EasyRPG Player only supports RPG Maker 2000 and RPG Maker 2003 games. Hi Zieg, which Yume Nikki version are you using? Is the original or the translation? Which operating system are you using? This problem is known, but try the EasyRPG Player continus build in the meanwhile, it should fix most issues with this. We’ve added continous builds for Android too. They are newer and may fix some issues but add a few more different too. I’m using Yume Nikki 0.10 with the english translation. And my OS is Jelly Bean 4.1.1. En fin, eso, un saludo y gracias por vuestro trabajo! Miro casi todos los días el blog para ver si hay actualizaciones! Ese mensaje que te dio no parece estar relacionado con la falta de RTP porque sencillamente no aparece ningún nombre de archivo. Parece más un error de lectura de codificación de caracteres. Si la codificación de caracteres del archivo no es válida se convierte en una cadena vacía y así te apareció a ti. Así pues, ¿probaste lo de mantener presionado el dedo sobre el título del juego y elegir “Western Europe”? ¿Los archivos del juego que hay en la carpeta Picture tienen caracteres que no sean propios de idiomas español o inglés? Ya nos contarás, ¡muchas gracias por las pruebas! me ha sucedido el mismo error. Me funciono con Yume nikki, Yume 2kki y .flow. I had the same problem with character codification. and changed regional setting to japanese, at first it didnt worked and slowed my xperia pretty bad, so i had to reboot the divice. I don’t understand, I’ve put everything in the right folders but it appears that I have no games in the app. So weird! My Android is Kitkat 4.4.3 and all the games I downloaded were made in RPG Maker 2000 or 2003. Maybe the problem is in the folders… I don’t know! Nice work, by the way. You guys deserve it. Thanks Nightwatcher for reporting. There has been a filesystem access specification change since Android 4.4 KitKat. This will require some changes to support this newer Android version in EasyRPG Player. Hello, I’ve just recently installed this application. I’m currently facing a bit of problem as of now. I’ve downloaded The Gray Garden and also IB. They’re from 2000 and 2003 if I’m not mistaken. But eventhough I’ve put in under files like the instruction says, it says that there are no games. Can you help resolve this, please? Which Android device (brand and model) are you using and which Android version does it have installed? No se si sea un error del programa o del juego mismo. Pd: he revisado la carpeta del juego llamada ‘picture’, y todo parece en orden. Hola Lucy, si descargaste EasyRPG Player desde Google Play hay que tener en cuenta que hay varias traducciones del juego. Hay alguna que muestra el problema que indicas porque tradujeron los textos al inglés o español (juego de caracteres occidental) pero no tradujeron las referencias de los nombres de los archivos internamente (juego de caracteres Shift_JIS), por lo que el intérprete falla por detectar una codificación de idioma diferente. En Android, para solucionarlo lo mejor sería buscar una traducción mejor o bien mantén presionado el dedo sobre el título del juego en el menú de juegos de Android y elige región japonesa u occidental para probarlas en cada caso en lugar de la de detección automática. Cabe mencionar que EasyRPG Player para Android de momento no tiene teclado visual para presionar los números que permiten salir del sueño. Existen aplicaciones de teclados virtuales para Android para ayudar con esta carencia. 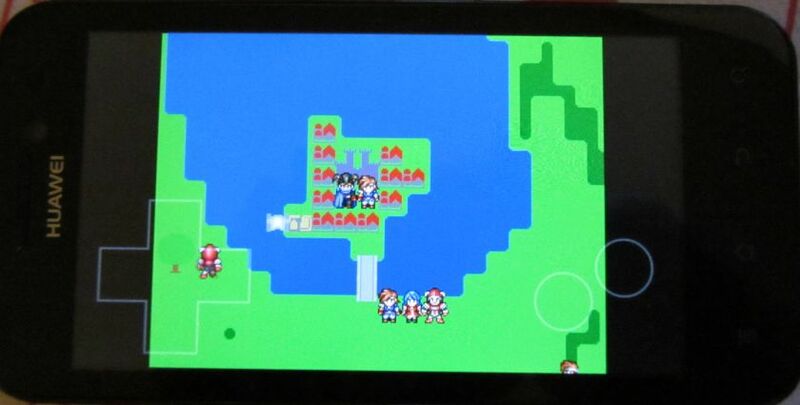 La app me ha parecido excelente, hace tiempo he querido jugar los rpg maker desde un movil pero se me ha presentado cierto problema con los controles del juego, al presionar los botones, ninguno me sirve. Por qué sucede esto? Hola Lady: ¿qué modelo de teléfono y versión de Android tiene tu móvil? Hasta ahora no nos habían informado de un problema con los botones. ¿Has probado con otros juegos? ¿Apagaste y encendiste el teléfono para reintentar? La carpeta del juego debe tener en el mismo directorio el RPG_RT.ldb y demás archivos. Algunos juegos tienen una carpeta data dentro de la carpeta del juego y unos lanzadores ejecutables. Lo que necesitas es meter la carpeta data en la carpeta de games y renombrarla. De este modo te la detectará. The simplified Chinese can’t be show completely. Sorry,my English isn’t good.My problem is that some words can’t be shown in game.If I use a simplified Chinese version of one game,things will be that. The simplified Chinese can’t be shown completely.